A one-stop shop for Medicare documentation requirements? It can be challenging to know what documentation a payer requires to get paid for providing a particular service. This is especially true for Medicare as those requirements are spread across multiple manuals, regulations, and local and national coverage determinations. The Centers for Medicare & Medicaid Services (CMS) is moving to change that. 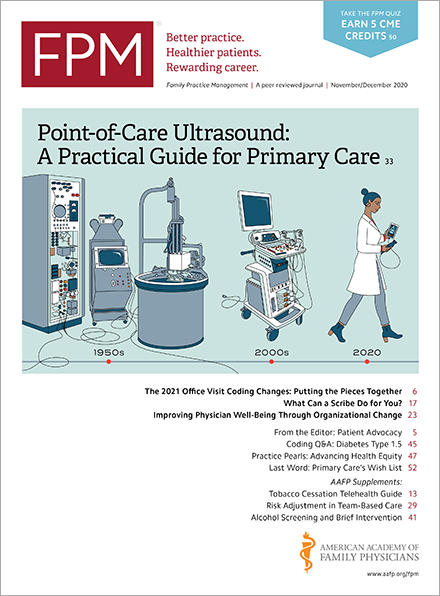 CMS plans to list all the documentation that’s required for Medicare payment in one central location – the new Provider Documentation Manual. This will be an Internet-only resource, and each section will be on a specific item or service, including a checklist that you can use to ensure your documentation is complete. The Provider Documentation Manual does not replace policy or coverage manuals and does not create any new requirements. Using the manual is optional. The first draft section(www.cms.gov) in this new manual is Home Oxygen Therapy, and it includes a draft physician/non-physician documentation checklist(www.cms.gov). CMS received public input on this section earlier this month and will release a revised section and checklist later this year. For more information, please visit the “Reducing Provider Burden” webpage(www.cms.gov) on the CMS website and check out the slides(downloads.cms.gov) from an Open Door Forum that CMS held on the draft Home Oxygen Therapy section of the new manual. Home / Journals / FPM Home / Getting Paid Blog / A one-stop shop for Medicare documentation requirements?